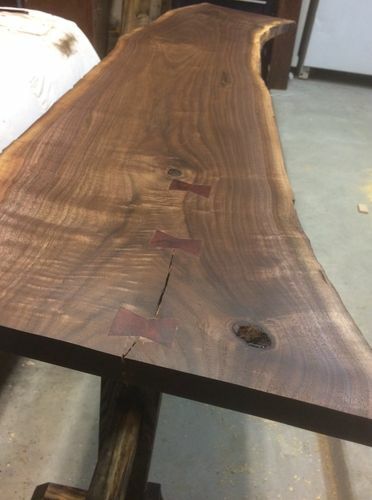 Need some advice on what to build for legs (30-33 inches tall) for a piece of dark walnut I acquired. 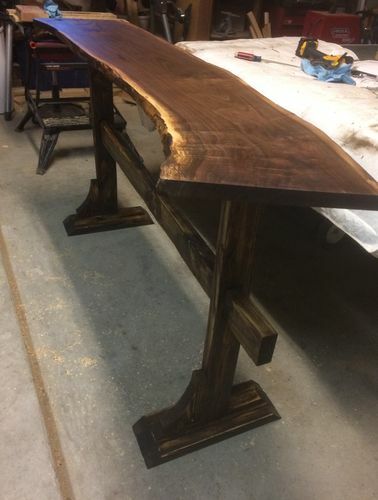 I am wanting to find some vintage cast iron lathe legs, but the amount people want for them is insane ($300-$900). So I thought I could custom make replicas out of wood. 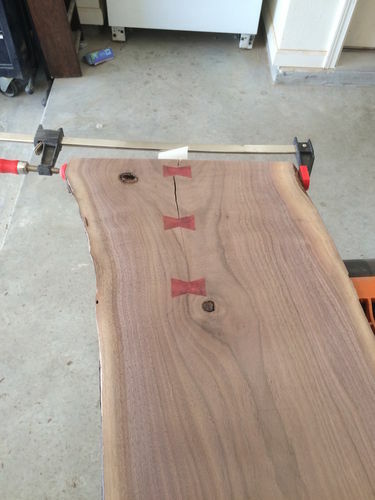 Also, I performed my first wood surgery using bowties. Almost bought the template and router bit, but figured i’d do it with a chisel first to see how difficult it was. Turned out pretty good for my first time. 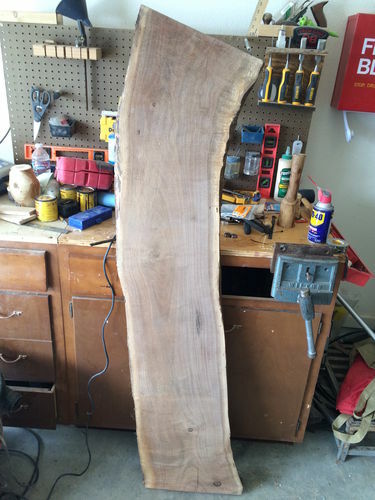 Went ahead and built the base for the sofa table. Any idea what I could get for it, $$, If I were to sell it? ?